Buyers of a few acres or more will often wish that they had a pond. 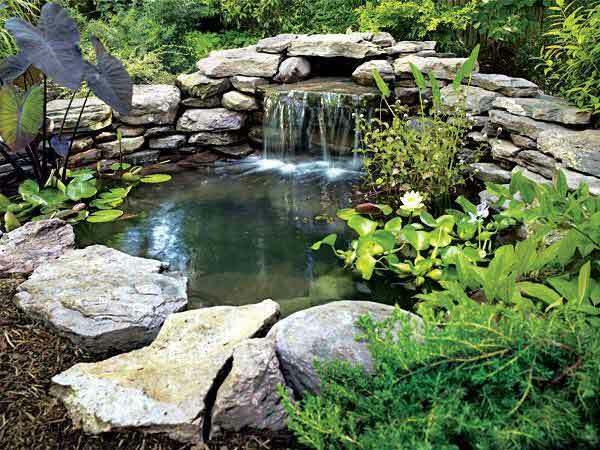 Ponds add charm and scenic beauty to any property. Additionally, they offer opportunities for recreation such as swimming, fishing, and boating. Check this out, with some planning, the right location, and some heavy equipment you too can have a pond. The secret to having a great pond is location. The biggest factor in deciding whether a pond will work on your property is its location and topography. Basic physics tell us that water runs downstream. Thus, the most basic pond is a reservoir. Place your pond where the most water can be collected with the least disturbance to the earth. In other words, at the bottom of a hill. There are two ways to create a pond: digging or building a dam. Usually, the chosen form will be dictated by the site. A dammed pond will be best in the wet area between two adjacent steep banks. Whereas, an excavated pond can be located in a more arid site. When creating a pond your soil type matters. Deep, well-drained soil is not well suited for creating ponds. However, clay soil is perfect for creating the right conditions for a pond. Contact your district office of the Natural Resources Conservation Service or county Extension office and get help understating your soil type. Your water source and location will determine the size and depth of your pond. For instance, ponds in the Western and Southwestern U.S. should be a minimum of 8-14 feet in depth. Whereas, ponds in the Eastern, Southern, and Pacific regions should be a more shallow 5-7 feet in depth. Excavation can be expensive. Hiring a bulldozer to build a small pond may be anywhere from $3,000 to $5,000. However, there may assistance programs available to help alleviate some of the financial burdens. Occasionally, government agencies will take on a portion of the cost through conservation and watershed restoration projects. Check with your local extension office, and see if there are any local programs to help with the cost of your pond.